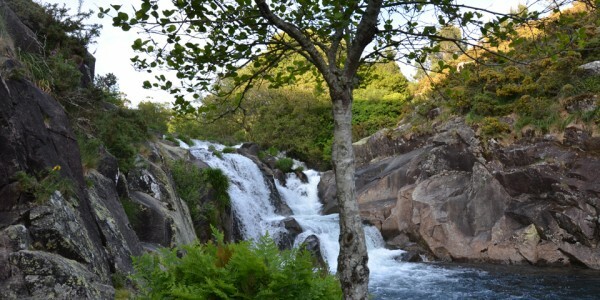 The village of Muxia is situated in the central part of the Costa da Morte, this gives us the opportunity to get to know this region through two routes, one to the north that leads to Malpica, and another southwards towards Finisterre and Muros. We leave Muxía by the road that goes to Berdoias, going through Quintáns we take a left towards Ponte do Porto and Camariñas. We make the first stop in Cereixo, to see the Romanic church of Santiago. In the tympanum of the south gate we have the representation of the transfer of the body of the Apostle Santiago. Paired with the Church are the Cereixo towers, an eighteenth century Manor House, which belonged to the Counts of Maceda. We cross the river of O Porto, in Ponte do Porto, and continue towards Camariñas, fishing village and capital of lace that is done in parishes that borders on the estuary. There is a museum dedicated to this handicraft. 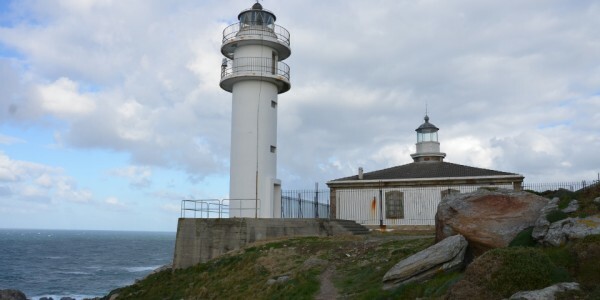 From Camariñas we continue to Vilán cape, a rocky promontory on which the impressive lighthouse was built which became operational in 1896. The views from here are splendid. Retuning it’s worth it taking the track leading to the English Graveyard, the most symbolic place of many shipwrecks that occurred on this coast. Here bodies were buried that were recovered from the shipwreck of the English ship The Serpent, that in 1890 ran shore against the low tips of O Boi. This track offers spectacular views over the coast. After passing through Santa Mariña and Arou, we arrive to Camelle, fishing village known for the German Manfred living there. 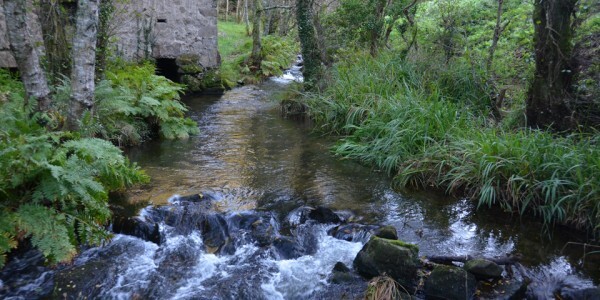 From Camelle we return to Ponte do Porto and take direction towards Laxe. 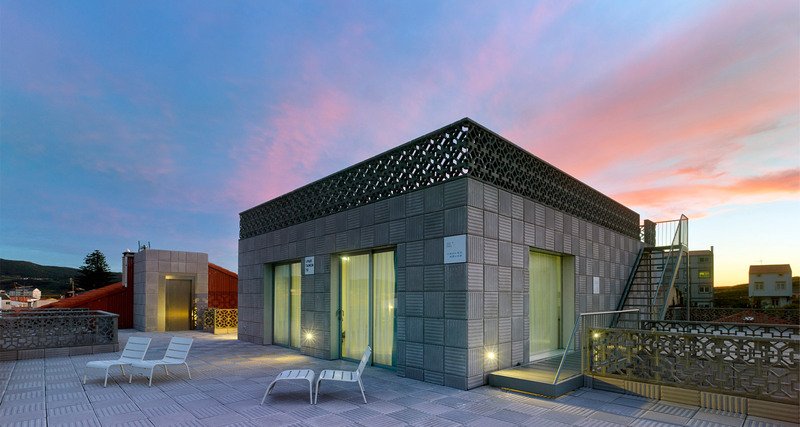 Passing through Traba, the views over the valley and the long extended beach will call our attention. Laxe is fishers and touristic village, that has a beautiful beach. The Casa do Arco and the Church of Santa Maria da Atalaia, are the two most important monuments. 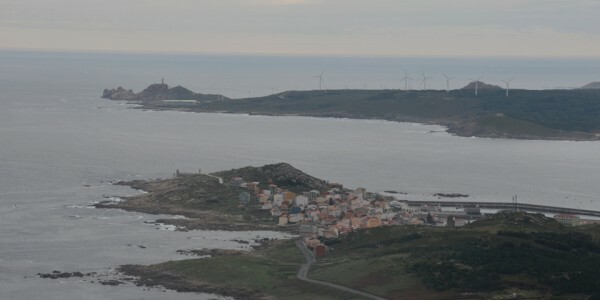 From Laxe we go towards Cabana de Bergantiños, the cove bording to A Insua, at the mouth of Anllóns. When crossing the river in Ponteceso, we can turn left and approach the village of Corme and the tip Roncudo, or else go towards Malpica. The fishing port is one of the most typical of this coast. In front of the beach Area Maior, we can see the islands Sisargas. Back from Malpica we go through Buño, the most important pottery center in Galicia, where you can visit the eco-museum of O Forno do Forte. We return to Ponteceso and Cabana and arriving to As Agrelas, we turn towards Baio, to see the dolmen of Dombate, known landmark of our megalithic culture. In Baio take the local road 552 that takes us to Vimianzo, here we will visit the medieval castle. In it a live handicraft demonstration is done. From here we returned back to Muxia. To start this route we leave Muxia by the road leading to Cee. When you reach Pereiriña, we take a right towards Lires, an inviting villaje protected from the sea winds, in which the river Castro flows. Then we continue towards Fisterra. Passing by O Rostro beach, a wild and solitary, sandy area suitable for a walk. After going through small villages we arrive to Fisterra, the most visited place of the Costa da Morte, end of jacobus route, just like Muxia. 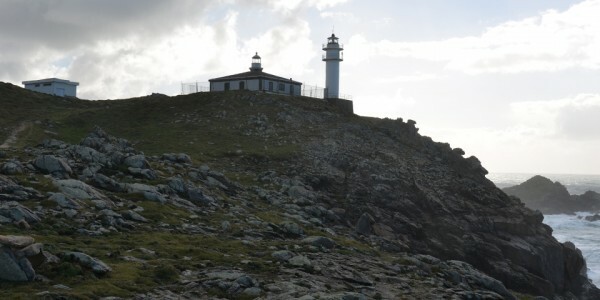 First we go to the lighthouse, located at the western end of the cape. 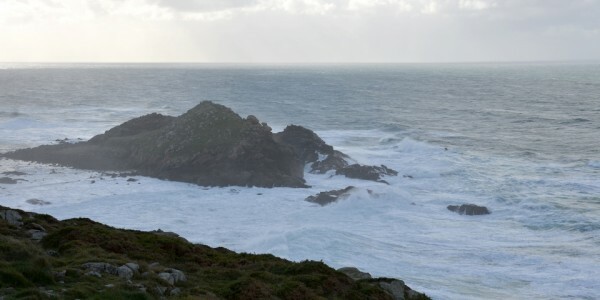 The building dates from 1853, when the first maritime signals on this coast were installed. This place invites to contemplate the landscape in which stands out in Pindo mountain in front. We have a track that climbs to the top of Mount Facho, place of legends and where the remains of the chapel of San Guilherme is found. On the way back you should visit the parish church of Santa María das Areas, a romanic style temple but mostly gothic. Within the village it’s recommended to visit its port, the fish market and the fishing museums, located in the antique castle of San Carlos, and take a walk through the old town. We leave Finisterre by taking the local road 552, and after passing through Sardiñeiro and Estorde, we arrive to Corcubión, a historic villa which preserves in an acceptable manner its architectural heritage, in which are the noble abound houses. Its most remarkable monument is the church of San Marcos, in Gothic style, which conserves in its interior a valuable figure of its patron. Allocated in the center of the town of Cee, are Shopping Centres and services in the southern part of Costa da Morte. The building of the foundation Fernando Blanco, the parish church of A Virxe da Xunqueira and manor of O Cotón, are the noblest buildings. In Cee we take the road that leads to Muros, a path along the sea and offers beautiful views across the coast. 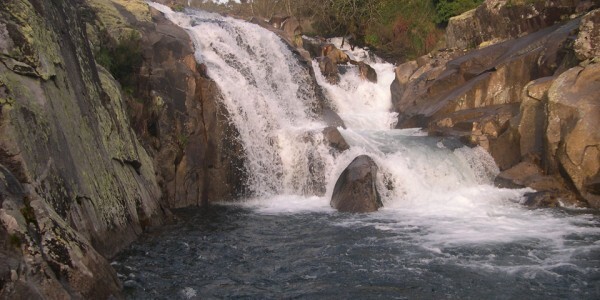 We go through Ézaro, where the Xallas river finish, forming an impressive waterfall. Then we cross the heart of O Pindo, at the foot of the famous mountain. 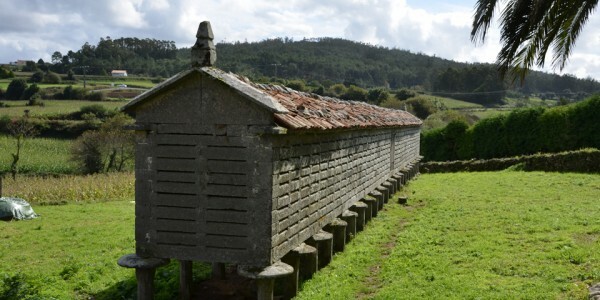 After passing by Caldebarcos and other small towns, we arrive to Carnota, known for its long and monumental barn. The route now continues by the parishes of Lira, Lariño and Louro. In San Francisco we have an excellent beach and a well founded monastery from the fifteenth century, now became a significant host. A few kilometers away is the historic village of Muros, with an interesting old town consisting of narrow streets and small squares. The most interesting monument is the parish church of Santa Maria do Campo, a construction of Gothic style. From this villa we returned again to Muxia, place of departure.